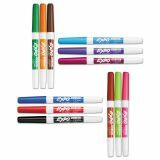 Consistent, skip-free marking in vivid color. 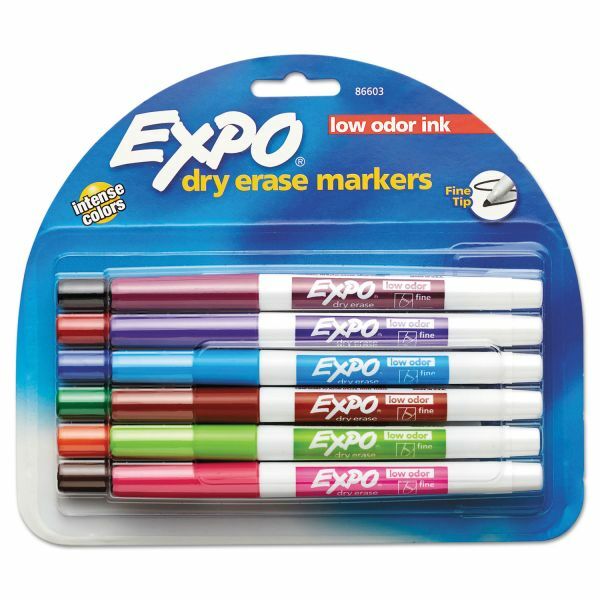 Low-odor, quick-drying ink formula erases cleanly and is ideal for classrooms, offices and home offices. Marks are easy to see from a distance. For optimal results, use on non-porous surfaces such as porcelain or melamine whiteboards and glass. Note: A minimum quantity of 56 must be ordered, and in units of 8 thereafter. 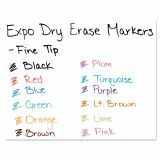 EXPO Low-Odor Dry-Erase Marker, Fine Bullet Tip, Assorted Colors, 12/Set - Dry-erase marker features ink that erases easily and completely. 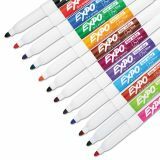 Bright, vivid ink is specially formulated to be low-odor. 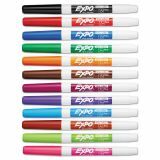 Markers are great for use not only on whiteboards, but on most glass-topped surfaces as well. 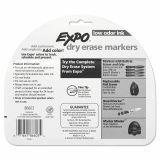 Low odor makes the marker perfect for use in classrooms, small offices and homes. The comfort of a fine point is ideal for use on smaller boards. 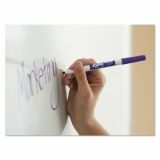 Easy-snap cap stores conveniently on the back of marker. 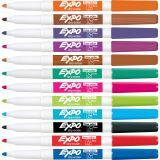 Fine point delivers consistent color quality for bold colors and great erasability. 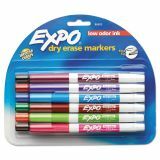 Dry-erase makers are certified AP nontoxic and conform to ASTM D-4236.